There’s nothing like a simple quesadilla. I’m happy with some fresh mozzarella alone, but it’s good to throw in something green and a sharper cheese. And if your going to throw in some spinach, throw in a bunch! Let’s say about 4 oz, 1/4 lb, 225 g. And a good amount of sharp cheddar! 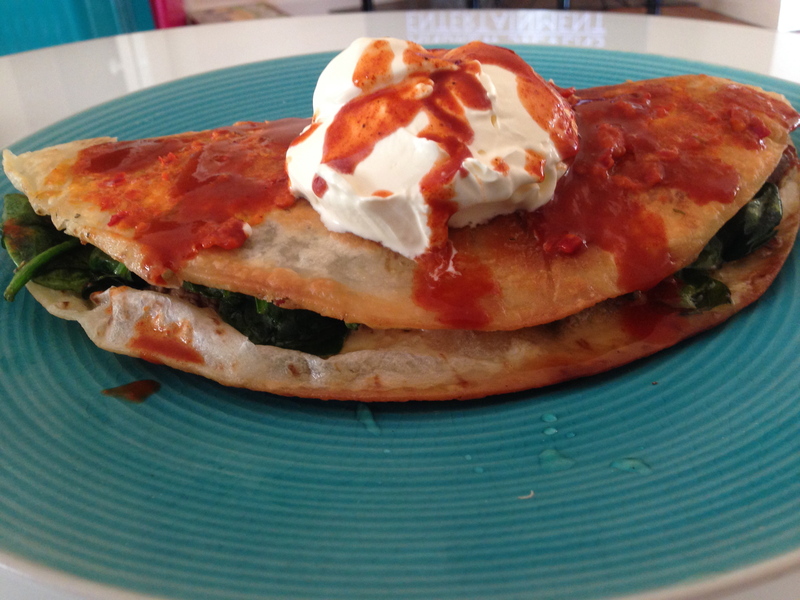 Fry the quesadilla in a bit of oil (or butter for extra flavour), then top with a healthy mound of full fat sour cream and hot sauce. That simple!